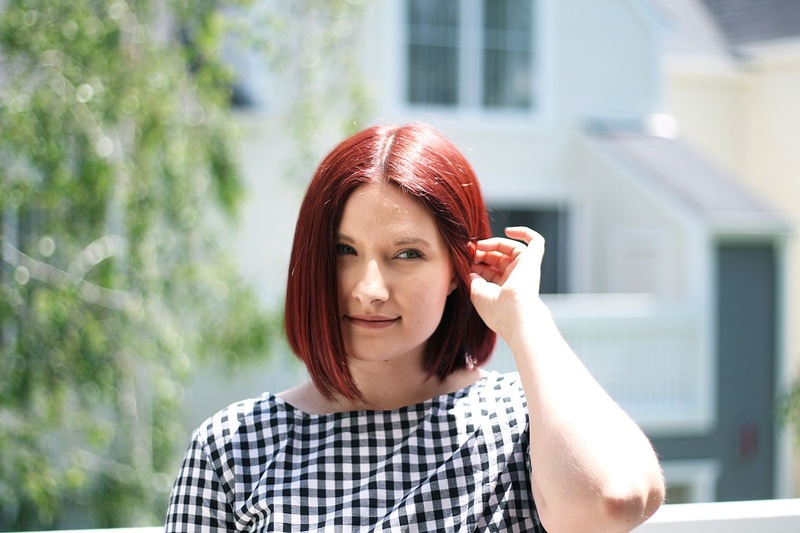 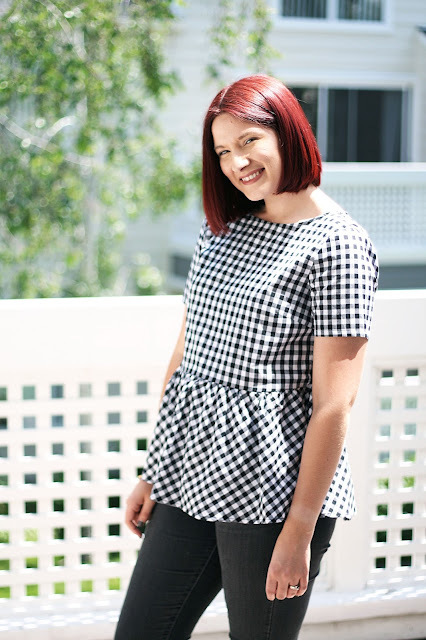 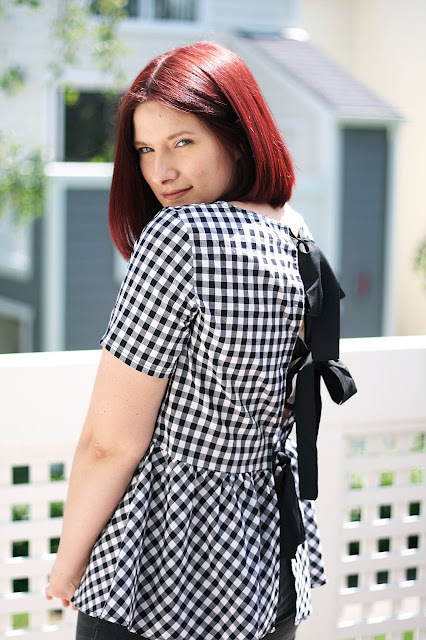 I am finally embracing the gingham trend with this gorge peplum tie detail top and it has definitely inspired me to go and purchase some more this spring/summer. Let me know your fave gingham pieces you've shopped recently babes! 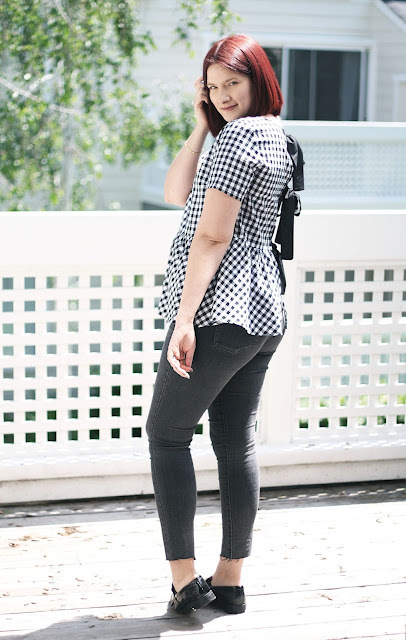 This is such as easy throw on look! 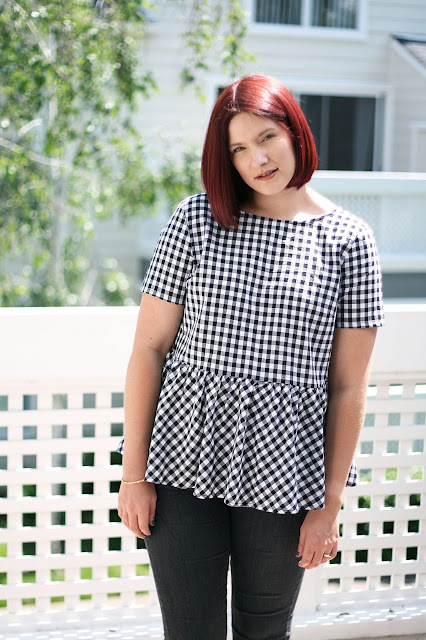 This gingham top is super flattering with the peplum fit and I love the added interest with the tie detail back 👌Its also only $20 on SheIn linked below! 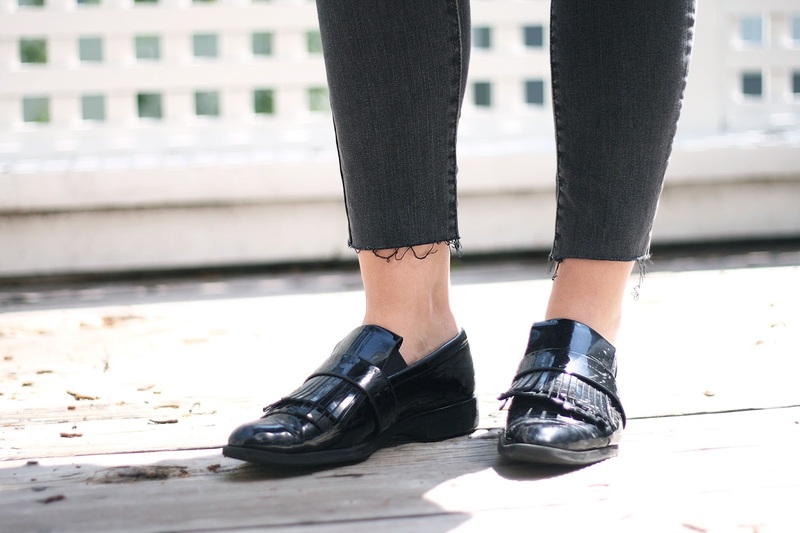 I simply styled my new top with my raw hem skinny jeans and my trusty patent loafers for a chic day to night look. What do you think?